SPOTTED BY: Jeremy Gilbert, from the Torontoist Flickr pool. 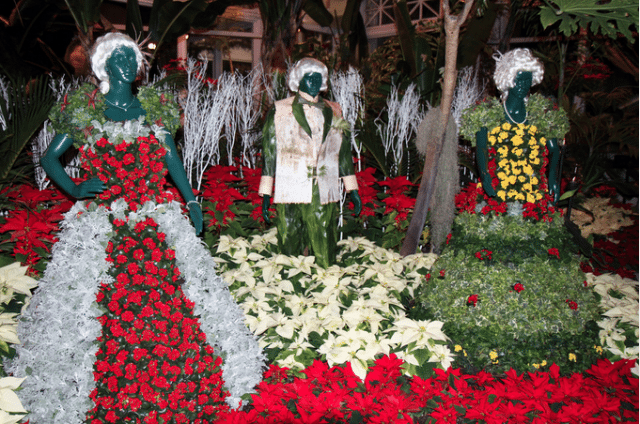 WHAT: Slightly terrifying, flower-bedecked green people at Allan Gardens. Every year, Allan Gardens holds a Christmas flower show—from the first weekend in December until mid-January, it’s filled with “thousands of flowering plants, over 30 varieties of poinsettia and amazing seasonal topiary masterpieces made entirely of plant material.” We do not question that these are masterpieces—their construction obviously involved a great deal of ingenuity and skill. We just hope that these particular masterpieces never decide to hang about in dark alleys or feel moved to visit us in our dreams.